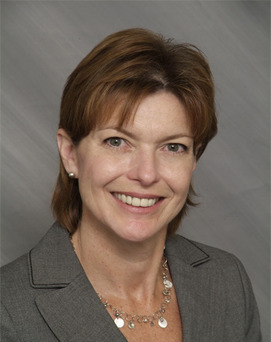 Joan Cenicola has extensive lease negotiations and interpretation skills with a broad-based background of development, management and marketing. She is directly responsible for all tenant relations and lease negotiations and site development of over 150 properties for bank branches throughout New Jersey. Joan also developed marketing strategies from development through completion for all real estate related activities. She’s instrumental in developing highly diversified management studies to improve accountability, resulting in long-term cost savings. She has in-depth experience in contract negotiations for new construction, renovations and maintenance. Preparation of capital expenditure budgets. Budget development of all real estate related activities. • First Vice President, General Services DivisionCollectively managed 180 properties, $300 million dollar real estate portfolio, with an operating budget in excess of $5 million dollars. Directly responsible for all tenant relations and lease negotiations. Instrumental in developing highly diversified management studies to improve accountability, resulting in long-term cost savings. In-depth experience in contract negotiations for new construction, renovations and maintenance. Preparation of capital expenditure budgets. Budget development of all real estate related activities. • Simon Property Group • BP • Amoco • Bank of NY • Hudson City Savings Bank • Independence Bank • Sovereign Bank • Columbia Bank • Valley National Bank • Paragon Federal Union • TransUnion • Strauss Discount Auto • Pizza Hut • Quick Check Food Stores • Huntington Learning Center • Sylvan Learning Center • Stickley Furniture and Design Spree.